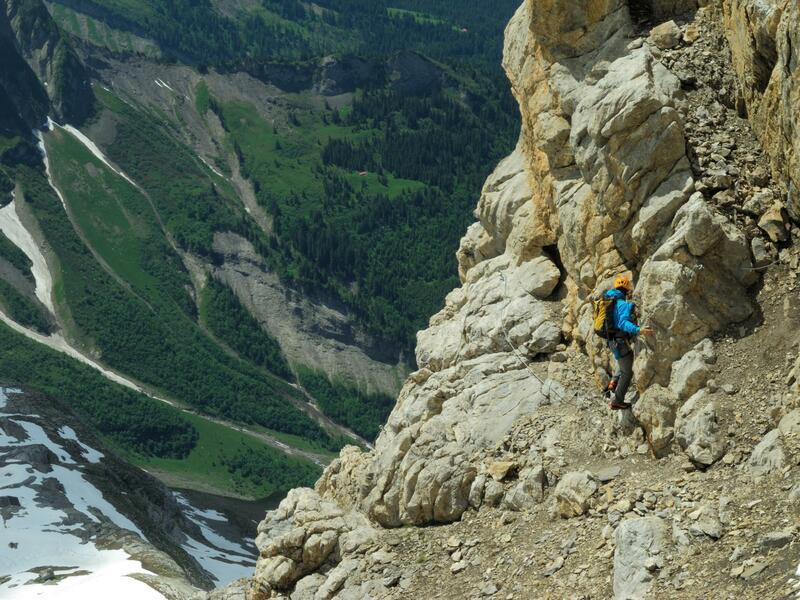 A 45-minute hike from the Pierredar hut in Les Diablerets takes the hikers to the departure point of the Dames Anglaises Via Ferrata. The hut can be accessed from the parking via the pretty Chemin du Drudy. 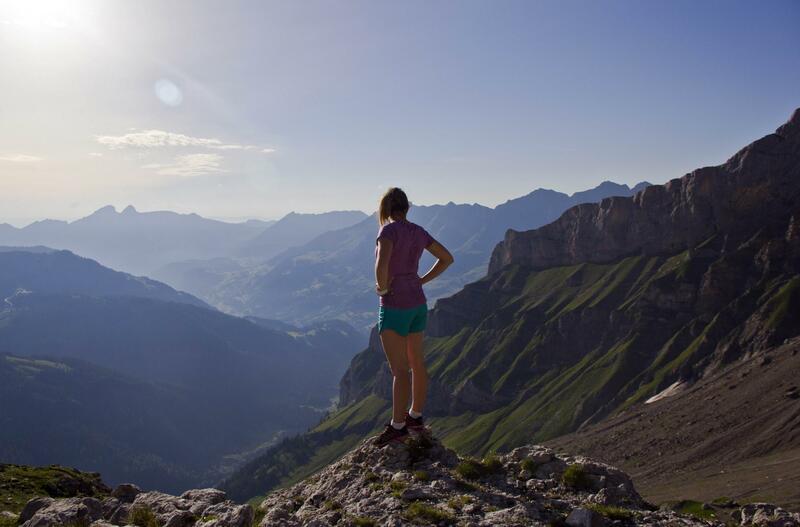 In view of the distance and the slope to be achieved, climbers often choose to go up to Pierredar the preceding evening to spend a pleasant evening before tackling the via ferrata. The route starts out with rather easy rocky passages up to the silhouettes of the Dames Anglaises. These are three rocks, the shape of which are reminiscent of women in long dresses. The climbers can then enjoy an impressive view of the Prapio glacier. The last passage until the end of the climb is more aerial. At this altitude, the view of the Vaudois Alps is spectacular. Two return options: either with the Glacier 3000 ski lifts from the Scez Rouge stop or on foot via the Diablerets hut. 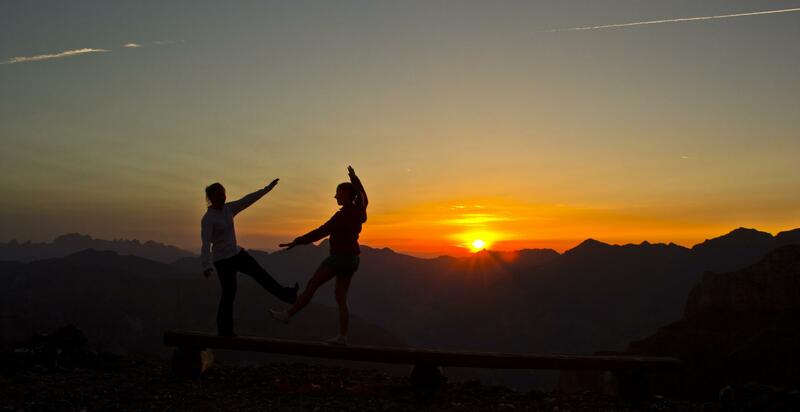 We recommend you stay at the Pierredar Mountain Hut to take advantage of the view and hospitality.